It is over a decade since the launch of the Association for the Study of Peak Oil and Gas (ASPO) — a network of scientists and others working to determine the date and impact of the peak and decline of the world’s production of oil and gas. In the interim, peak oil has gone from an “extremist fringe theory” (see upcoming Peeking at Peak Oil for more details) to an accepted fact addressed by some of the world’s most influential bodies including the International Energy Agency (IEA) and the International Monetary Fund (IMF). Yet, in almost all countries of the world, policymakers remain silent, inactive or, perhaps worse, deliberately ignore this issue, hoping that it will just go away. When talking about policymakers, I am referring to government bureaucrats, rather than elected politicians. For the latter, in large part, peak oil presents too great a challenge and as such is filed under “not while I am in office” category. There are many exceptions to this rule, but not enough. Career bureaucrats, on the other hand, have to put the national or local interests first. They have to consider all issues, however unpleasant the issues may be. At least that is the theory, especially in more democratic countries. The peaking of conventional oil production ought to be a priority issue to be tackled by every national department of energy, agriculture, environment, transportation and economy (to name but a few). It should also be on the agenda of every ministry of foreign affairs as they will be required to negotiate through a new, dynamic, unchartered and complex global energy paradigm. They may be responsible for deciding whether we continue to fight over energy supplies or whether we can find a collective and peaceful response to the energy challenge, with Richard Heinberg’s Oil Depletion Protocol being the only significant proposal on the table at the moment. Not every country is at fault. There is, for instance, the 2006 “Making Sweden an Oil Free Society” report from the Swedish government’s Commission for Oil Independence that aims to move the country away from oil by 2020. While not free from criticism, it was a serious attempt to address this pressing problem. Just across the border, the Danish government released an energy strategy in 2011 calling for a transition away from fossil fuels to green energy by 2050, perhaps not fast enough but still a good start. There have also been some very important policies introduced at the local level. For example, the North American city of Bloomington, Indiana, established a Peak Oil Task Force in 2007 and published a ground-breaking report in 2009 entitled “Redefining Prosperity: Energy Descent and Community Resilience”. This 258-page report looks at how to ensure that municipal services continue to function, how to create resilient land use, transportation and housing, and how to cope with issues such as food, water, waste and healthcare in a post-peak oil world. Over in Europe, Bristol city in the United Kingdom (UK) issued “Building a positive future for Bristol after Peak Oil” in October 2009. Again, this report looks at the implications of peak oil for transport, food, healthcare, public services, the economy and the energy sector. In addition to the activities of the city government, a not-for-profit company has been established to work on reducing the city’s dependence on fossil fuels under the banner of Transition Bristol (a Transition Network initiative). What? Not a single new policy? Fortunately, this may not be the end of the story because in May 2011 the Industry Taskforce on Peak Oil and Energy Security (a coalition that includes Arup, Buro Happold, SSE, Solarcentury, Stagecoach Group and Virgin) announced that the UK government had committed to work with the private sector to develop contingency plans to protect the economy from rising oil prices. Then there is the story of the leaked study from the Australian government that surfaced in various news reports at the beginning of 2012. The report was prepared in 2009 by the Bureau of Infrastructure, Transport and Regional Economics and concludes that there will be a decline in oil supply within a few years. It is unclear why the report remained hidden for over two years, although there is a lot of speculation online. What is clear is that this report did not translate into any new policy measures from the Australian government. And of course there was the 2005 Hirsch Report, sponsored by the US Department of Energy and entitled “Peaking of World Oil Production: Impacts, Mitigation, and Risk Management”. There is some controversy surrounding the report and whether it was effectively swept under the carpet by the Bush administration at the time. Its recommendations certainly did not get taken into the policy arena, although lead author Robert Hirsch remains outspoken on peak oil issues and his book The Impending World Energy Mess contains some very important recommendations for mitigation actions. The “crash programme”, presented in the Hirsh report, called for the promotion of fuel efficient transport, use of oil sands, coal liquefaction, enhanced oil recovery and gas to liquid conversion. The report’s authors suggested that this crash programme would require 20 years to complete and that waiting until peak production occurred before taking action would result in a liquid fuel deficit and severe economic difficulties during this transition period. Back in 2005 we could perhaps forgive a policymaker who was unaware of the implications of the peaking of global oil production. Today, we can only conclude that any policymaker who doesn’t take this problem very seriously is deliberately trying to maintain a viewpoint that ignores this growing body of evidence. 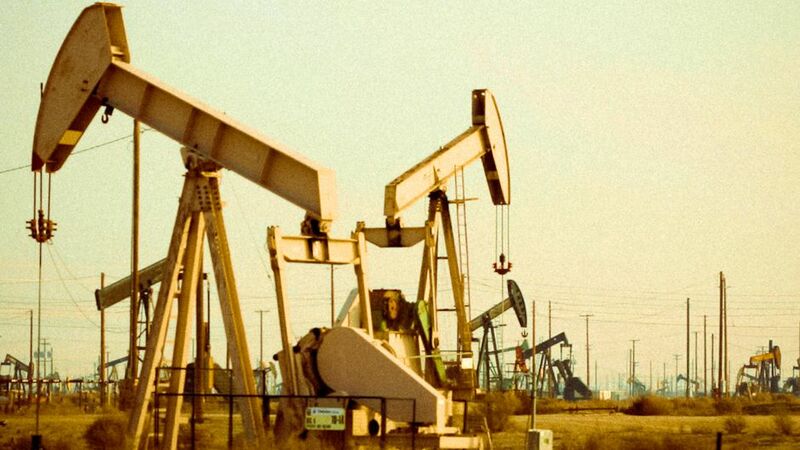 To cite some examples, researchers at one of the world’s leading think tanks, Chatham House, published a report in 2008 arguing that there will be an oil supply crunch in the next five to ten years. In 2009 the UK Energy Research Centre published the “Global Oil Depletion Report” and argued that there is significant risk of a peak in production before 2020. The 2010 report from the UK Industry Taskforce on Peak Oil and Energy Security argues that peak oil will occur within the next decade, potentially by 2015. That same year, the IEA had a “road to Damascus” conversion with the publication of the “2010 World Energy Outlook” and the public admission by chief economist Fatih Birol that peak oil could come as early as 2020. The IMF has also entered the arena this year with a working paper entitled “The Future of Oil: Geology versus Technology”. There is an excellent review of this study on the Oil Drum but the basic conclusion from the research paper is that “the real price of oil… would have to nearly double over the coming decade to maintain an output expansion that is modest in historical terms”. When the IEA and IMF begin to explore the implications of peak oil, this ought to be the clearest signal to policymakers that the time to act is upon us. Another influential commentator on peak oil issues is Sir David King, former UK Government Chief Scientist. In 2010, through Oxford University, he published a paper arguing that the estimates of conventional oil reserves should be significantly downgraded by up to one third (i.e., we probably have only 850 billion and 900 billion barrels, as opposed to as much as 1,350 billion barrels previously thought). The issue here is that the vast majority of the world’s oil reserves have never been independently audited. More recently, in January 2012, King teamed up with James Murray (University of Washington) to publish a paper in Nature arguing that we have passed the tipping point for oil. Having just attended a conference on how knowledge can be taken forward into policymaking (see article), I am left pondering why this is not happening more extensively in the case of peak oil. Yes, scientists, researchers, peak oil advocates may share part of the blame for not communicating their concerns and the findings of their work effectively to both policymakers and the public. At the same time, opportunities for interaction between peak oil advocates and the policy-making community may be limited and trust building takes a long time. However, one successful example to be emulated is the relationship between the UK government and the Industry Taskforce on Peak Oil and Energy Security mentioned above. In this case, the Taskforce has some highly visible champions in the persons of Richard Branson, Chairman of Virgin, and Jeremy Leggett, Chairman of Solarcentury. Nevertheless, the reality is that policymakers already have well established, trusted, relationships with key think tanks and advisors. There are many such advisors who play down the peak of oil production or present it in more amenable terms such as the peaking of oil demand. So it is not going to be easy to gain traction and influence in these policy circles. At the same time, there are all too many reasons why policymakers don’t want to address the peak oil issue. Hirsch recently wrote a brief note on why officials in the big oil companies avoid talking about peak oil. Perhaps a good example of this can be found in the words of Saudi Arabia’s Petroleum and Mineral Resources Minister Ali I. Naimi spoken at a recent conference in Australia: “It is thought there are at least five trillion barrels of petroleum potentially recoverable.” That is an astounding claim to make and is probably referring to the IEA’s 2010 estimate of the world’s oil shale resources (not conventional oil) as being equivalent to 5 trillion barrels. Hirsch enumerated techniques/arguments used by oil executives to justify ignoring peak oil and these may also explain why policymakers do the same thing. Here are some examples that I have modified from Hirsch’s list. Optimism bias — We always find a way forward, including the finding of new energy sources, as we did from wood, to coal, to oil. Event timing — It won’t happen soon, so talking about it is counter-productive. Stock prices — Talking about peak oil could undermine the stock market. Fear — This relates to the above, a declaration of peak oil could cause chaos — even beyond the markets. No plans — We have not figured out what to do about peak oil, so best not to talk about it yet. All of the above somehow or other lock us into inaction. But we need a breakthrough, before we face a breakdown. We need a large number of governments pushing forward with policy measures (because others will follow) designed to ensure economic and social resilience in even the worst-case peak oil scenarios. Bearing in mind the very pressing nature of this issue and the time that it will take to effectively implement measures, we need that breakthrough to happen very, very soon. Policymakers Slow to Take Peak Oil Action by Brendan Barrett is licensed under a Creative Commons Attribution-NonCommercial-ShareAlike 3.0 Unported License. It’s clearly no coincidence that the persistent and pervasive resistance to facing the facts about oil depletion follows a similar pattern to that of resistance to acknowledging climate change. Admitting the veracity of either one, or heaven forbid, both, is to risk heading down the slippery slope toward an unwelcome recognition that our project of modernity was built on mistaken assumptions across the board, from theology (“the world exists for man’s exploitation”) to geology (“endless reserves!”) to ecology (“out of sight, out of mind,” right?”). Better that we ‘extend and pretend’ just a little while longer. Arghh. There is a book; “ELECTRIC WATER”, (New Society Press, 2007) by Christopher C. Swan, a San Francisco industrial designer. Swan has a comprehensive, “systems” approach, looking at off-the-shelf- methodologies for dealing with economic imperatives as carbon fuels get more costly and in short supply. See also: Association For The Study Of Peak Oil & Gas newsletters 42 & 89, respectively. We are entering a period of cultural upheaval, and as we in America seem to drift toward a Mormon Presidency, Senator Frank . J. Cannon’s book, “Under The Prophet In Utah” is timely, written as an expose’ of the corporate hand behind government policy, certainly including energy. Thanks for your comment. I agree that the persistent denial of climate change shares similarities with the general lack of awareness and action on oil depletion and our overall energy predicament. The same applies to other issues – biodiversity loss, food insecurity, access to water, etc. It is also clear that once you begin to do the research and come to terms with the stark reality of the scale of some of these challenges, it is rather difficult to disengage once more and go back to the modernity project. Rather, having grasped the direction we are going, the hope is that we can change course. At the same time, even if someone is extremely doubtful of the above, it may well be advisable to reflect upon how to ensure that your community can become more resilient to the various shocks that we have seen hitting our world from 2008 onwards. The notion of resilience is crucial here since it requires that we identify and understand our vulnerabilities (like extreme oil dependency) and take measures to either mitigate or adapt away from these risks. Just making excuses like “well we will be able to rely on shale gas” or something else, is really an attempt to talk oneself back into complacency and a false sense of security. Thankfully this is something recognized by an increasing number of communities, individuals, business leaders, and some policy makers. However, progress is slow and difficult in promoting a possible transition. We can only hope that there is enough momentum behind those who recognize the need to change to get us beyond the uncertain energy future that we face. tahoevalleylinesThank you so much for sharing those interesting references. I will look into them. I agree with your point that oil shock (a sudden stop in the flow of our oil supply) is a crucial aspect of the problem we face. It is also an area where governments have taken some action by building up their reserves, although only to cover a period of months. I know that the US frequently holds simulations on how to respond to a potential oil shock wave – which seems to amount to some kind of military intervention.At the same time, oil crunch (a dramatic increase in oil prices as demand outstrips supply) is equally important but very difficult to plan for. I am not sure that any government has really figure this out yet and reducing vulnerability to the oil crunch scenario takes a prolonged period of time and investment – shifting to an electric vehicle fleet. pushing up the proportion of renewable energy versus fossil fuels and oil in particular, understand food supply related risks. It is until the price of oil is uncotrollably skyrocketing and a number of cars are stuck in the line before the gas station to refill the oil that a majority of people realize the imminency of peak oil. Yet, I still believe that there are, aside from the technological reasons, artificial, political and economic reasons/controls behind the scene of peak oil issues. Watching on TV many cars in Iraq that are stuck in the line to get the oil refilled at gas station, I suppose the supply of oil is pretty manipulatable. In my honest view, I would like to see the world to begin again the work of remaking the civilization without dependence on oil. Yes, I would be frustrated to see nothing is ever working as usual without oil, not just with transportation, but also with goods and other services. But, we must work from there, and create from nothing. Peak oil era may be analogus to the idea of superman in Nietzsche. (maybe I’m very wrong) But, by which I wanted to mean that peak oil may be the beginning of deconstructing/redefining the current civilization. Kenji, I certainly concur with your desire to see the world begin to remake civilization without oil dependence. I just concluded a three-day conference on systems theory at the Center for EcoLiteracy. It was intentionally small and intense, just 50 people, and hosted by famed physicist and author Fritjof Capra (The Tao of Physics, Hidden Connections, etc.) and also had a guest speaker/participant for a day, Richard Heinberg, who spoke about Peak Oil and Peak Everything. Besides Capra’s latest insights about applying systems (which he now calls “network theory”) to evolution and ecology, etc., and Heinberg’s familiar, if consistently alarming, wake-up calls about the inherent unsustainability of our current dream of endless growth, perhaps the most valuable take-away for me was the reminder that breakdown and chaos is an essential pre-condition to any evolutionary next step. Non-linear (systems) thinking enables one to step outside the current paradigm’s strictures and recognize that we’re embedded in a cognitive structure that has reached its end. It isn’t that it is bad. It is simply done. Its contradictions are in full bloom. When we see that conventional linear thinking isn’t adequate to the task of saving ourselves, we can step back and discern that we’re in a system poised to leap to the next level of complexity, but it will require us to go through chaos and turbulence first, like all systems at this juncture of their evolution. As such, from a long view, we are exactly where we need to be, indeed have to be, couldn’t have avoided, sooner or later. Instead of being afraid of change and trying to hold on using every available linear-thinking permutation, none of which will ultimately work, if we can step out of our trap using systems thinking we can (and should!) be optimistic. This reframing of our times, from bad to necessary, can be helpful. It doesn’t mean there is no risk. Every system that becomes chaotic comes necessarily to a fork, where it either leaps to a higher level, or it falls apart completely and dies away. We may do the latter, as humans and perhaps even as complex life on this planet. But we also have a grand chance for the former, and 13.7 Billion years of evolution are on our side, urging us on, in a universe that has done nothing but advance toward increasing complexity and diversity and consciousness.